Thanks, once again, to Dennis A who came across this sign displaying Tesco's generosity. Still piling 'em high and selling 'em cheap. 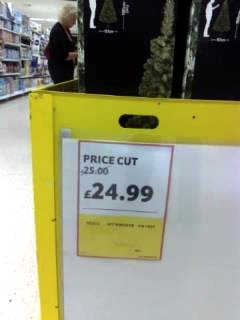 Well, ever so slightly cheaper.